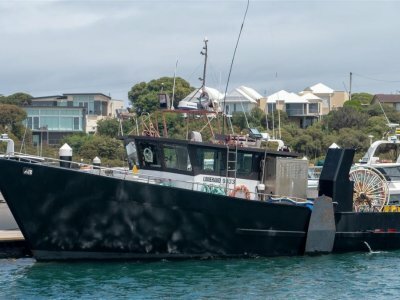 16.49m ( 54' ) Commerciel Fishing Vessel - Built for Barramundi Fishing in Northern Australia in 1982 (approx), Certificate of Survey - 3C for 5 crew. Had major refit in 2002. Boat was completely stripped, new engines and refigeration - rewired - raised wheelhouse added - hull blasted and . 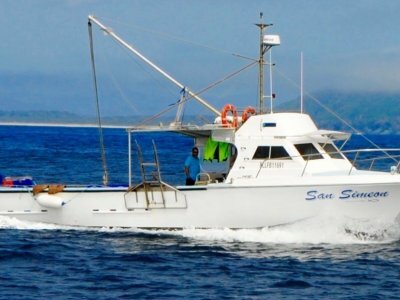 . .
PRICE REDUCED - 45' Randell Fibreglass Cray / Work Boat - "San Simeon " has just undergone an extensive refit and is in top condition ready to start work. Current AMSA Survey for 3C with 4 crew. 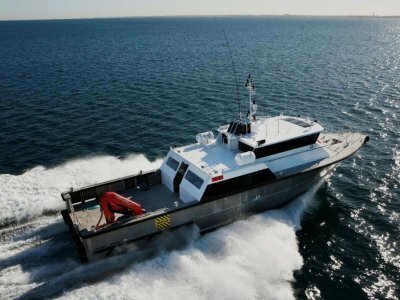 Also has OG1 Offshore fishing licence available for NSW buyers. Vessel Name: SAN . 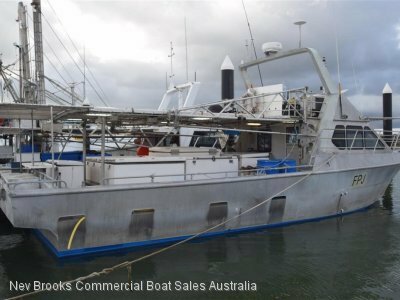 . .
45' Aluminium Commercial Fishing Vessel - " Argentina " has been operating in the line fishery off Central Qld for several years. 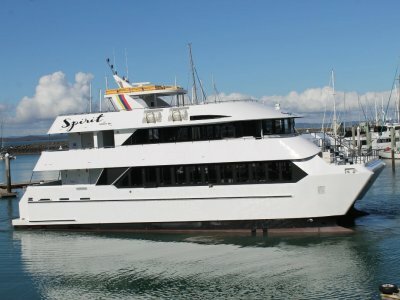 Owner committed to other interests so the boat is to be sold. 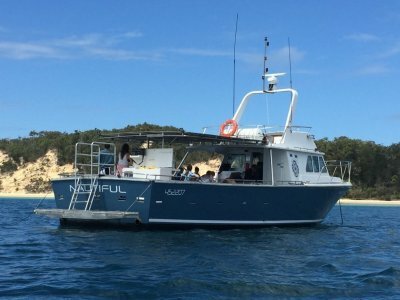 Either as a going concern with the appropriate fishing licence and quota or as boat only. . . .
140' Superyacht " HAPPY LIFE " is looking for a new owner. 42.5m of absolute luxury on three levels. 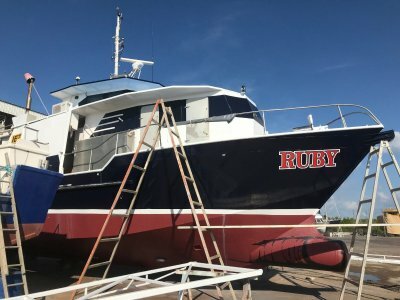 Presently located in the Philippines, she is ready for inspection now. Accommodation comprises of 8 spacious guest staterooms with ensuites and berths for 16. Stunning saloon and . . .
Superyacht - " Equanimity " Together with our partners in Malaysia we can now offer for sale the MY 'Equanimity' that was seized through the courts in Malaysia and now is located in Port Klang. 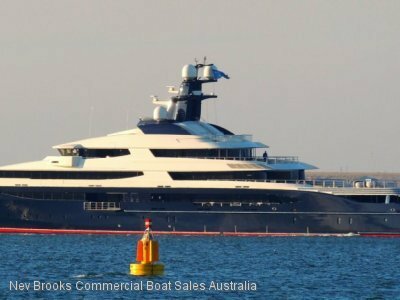 Builder: Oceanco Yard number: Y709 Launched: 2013 Delivered: 2014 Tonnage: . 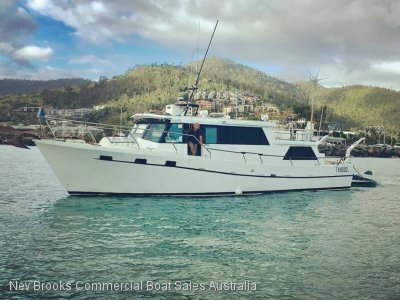 . .
47' Roberts Fibreglass Aft Cabin Motor Vessel - Fishing or family cruising, take a look at this economical cruiser. 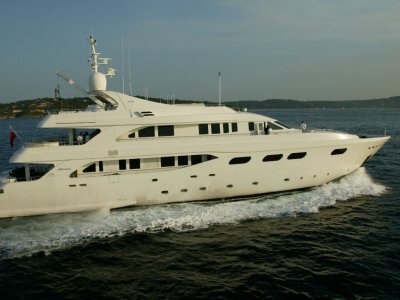 Large aft cabin with ensuite for the owners and four berths forward for guests. Tow heads and showers. Galley and saloon have plenty of room for everyone to relax. Twin Perkins . . .